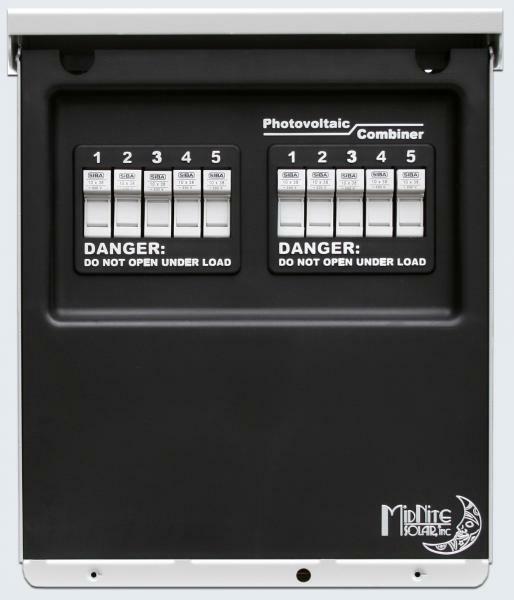 Click the button below to add the MNPV-12 MidNite Solar Combiner Box 12 Position to your wish list. Gray aluminum type 3R rainproof enclosure with insulating dead front, will accept 12 150VDC breakers or 10 600VDC fuse holders. 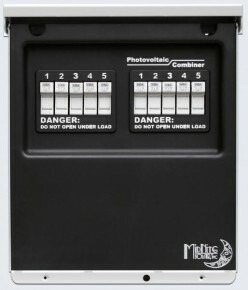 Can support two inverters of up to 5 strings each, or a transformerless inverter of up to 5 strings. Dimensions 12.5" x 12" x 3.5"